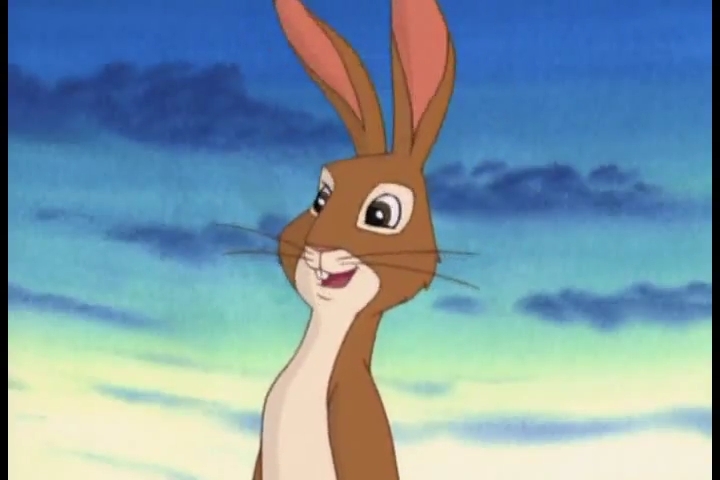 This is a simple game, where one person asks a character from Watership Down franchise (books, movie and tv-series) a question. Then the next person posts an answer in character's name and asks his/her own question. Vervain, what would you do, if you were given a rule over Efrafa. Vervain: Before or after I finished laughing? Hawkbit, what is your favorite color? El-Ahrairah, do you have regrets over not listening to Frith when he told you to control your people? Elahrairah: Nope, we are too clever, in the end we outwitted Frith. To be big and strong just like Bigwig and Campion, but I want to be funny, too like Dandelion and Hawkbit, and smart like Hazel. Oh, Frith, I think I want to be like everyone. Except Woundwort, he wasn't as mean as everyone said, but he was sad, so I don't want to be like him. Dandelion, which story of El-ahairah is your favorite? Dandelion: That's a simple question and the answer is: "the story of lettuce King", the way Rabscuttle mockery safety and enters the castle is ingenious, but how El-ahrairah tricks the king to send lettuce to the hill and ate them the people of El-ahrairah was incredible and very intelligent. When I was a little bunny, I was very amazed. why you're a rabbit so grumpy? and how you can be so adorable at the same time? Bigwig: Why is a hungry Owsla a sharper Owsla? Bigwig: "When you're hungry, you're looking for food. And when you're looking for food, you'll kill everything, that could be eatable. Trust me, we knew at Sandleford. Don't believe the fable of the vegetarian rabbit. Let your primal-insticts take control over your body." 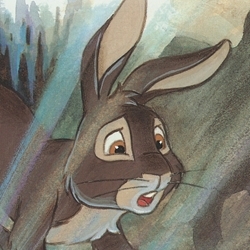 Hazel: What where your thoughts, when you realize, that you're the leader of Watership Down? Hazel: (geordie accent) I'd sit down, 'ave a good few cups o' coffee an' 'ave a good lie down, to let it sink in. Bigwig: How did you get such a big hairstyle? Bigwig: I'm not quite sure. I think I've got it from somebody on my marli side. Blackavar, what's it like to have your existence forgotten in the most episodes of the series? Bluebell: What's the difference between a healthy rabbit and an odd rabbit? 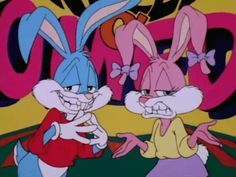 One is a fit bunny, and the other is a bit funny. Don't tell me that wasn't worth scrolling for! Moss: How did you get your name? Moss: I can stand still for so long, moss starts growing on me, sir! Woundwort, how'd you lose that eye? LOL, it's almost like Bluebell tell us a joke. This rabbit is super great. Varvain: I thought had been fighting a fox sir. Woundwort: No. Foxes are not a threat. Hannah, what happened to your ear? Hannah, I was going to look for dandelions that day, when I poked me head down a hole and out pops this face of a weasel and he bites me ear off. Never grew back it did and its the last time I don't call down a hole. Fiver, why are your visions so creepy? Fiver: Not all of them are creepy. I had a vision of us finding new home on Watership Down and of Hazel becoming father. Hmm... Then again that last one was creepy too, just in completely different way. Woundwort, why do you keep sending Vervain on wide patrol, even though he is better at keeping Efrafans in line than at finding or fighting enemy? Woundwort: Stay 15 minutes with Vervain, and you know why I send him away, far far away! Blackberry: Describe you feelings when you saw Campion for the first time.